As our payment methods are practical and convenient, we are highly recommended by the clients. We provide option to pay in cash as well as through bank transfer. Striving hard to deliver the exceptional product range that includes Eileen Gray Bibendum Chair in living room, we are a prominent Supplier in the market. 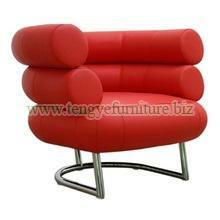 Our Eileen Red Bibendum Chair has stunning appearance and great comfort suitable for living room, offices, workplace etc.